Maybe it’s because the tale of WikiLeaks mad genius Julian Assange is still being written, butÂ The Fifth EstateÂ never settles down long enough to make a case for or against this controversial figure. It helps that British actor Benedict Cumberbatch excels as the digital whistle-blower from Australia who became notorious for giving other whistle-blowers a protected digital forum to leak classified documents. Assange hit maximum exposure in 2010 when he linked up withÂ The New York Times, The GuardianÂ andÂ Der SpiegelÂ to disseminate Bradley Manning’s cache of state secrets. How did Assange get to the point where he must seek asylum at Ecuador’s London embassy while his enemies scream for his extradition, including the Swedish police, who want him for questioning in a sexual-assault case? That’s the movie. And it runs around frantically trying to squeeze it all in. Working from a script by Josh Singer (Fringe), director Bill Condon (Gods and Monsters,Â Kinsey) ”“ finally free from the gunk of twoÂ TwilightÂ movies ”“ at least tries to perform due diligence to the narrative. In 2007, the loner Assange begins collaborating with German technocrat Daniel Domscheit-Berg (Daniel BruÌˆhl ofÂ Rush), whose book,Â Inside WikiLeaks: My Time With Julian Assange at the World’s Most Dangerous Website, is one of the sources of the screenplay. As a result, Domscheit-Berg comes off mostly credible, Assange mostly creepy. 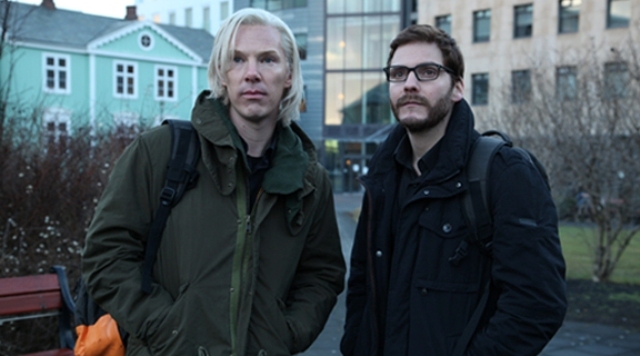 It’s fun to watch fine actors like Cumberbatch and BruÌˆhl go at each other. But the feuds and romances at the office and the subplot with Laura Linney and Stanley Tucci as State Department cogs feel like filler. It’s ironic that Alex Gibney’s recent WikiLeaks doc uploads the same material with more dramatic oomph.Â The Fifth EstateÂ is stuck running in place.